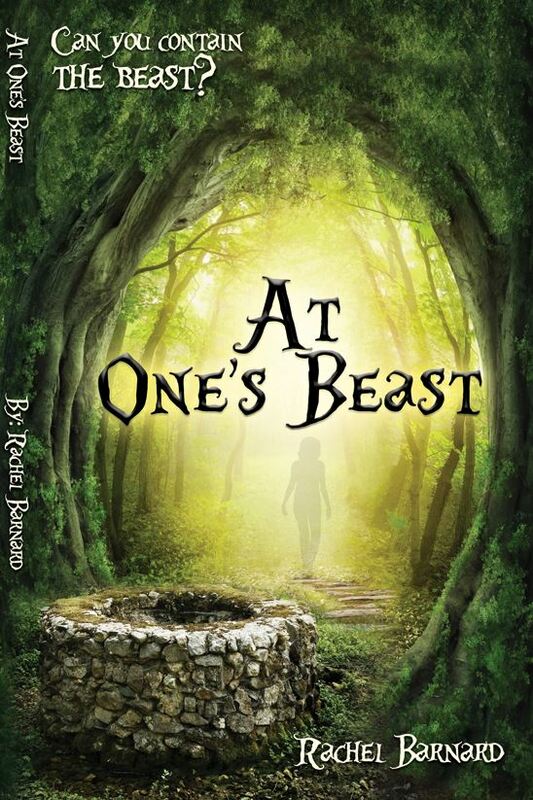 At One’s Beast is a new take on “Beauty and the Beast,” with a love triangle, revenge, a spell, evil, fate, forgiveness, compassion, bitterness, capture, betrayal and love. What went into the well was not supposed to come back out, ever. Every month, the townspeople of Frey gathered in the ragged clearing behind the cemetery to purify themselves through the well. It was an ancient and magical place. Once upon a time it had been a wishing well – a well full of water – but now it only contained rage between its moist stones. Over the years, the well had seen murderous thoughts, petty thievery, greed, jealousy, and many, many tears of spite. And over time, the well had grown black with the mold of disgust that crept slowly up its smoothed stones. Zos held tight to his mother’s hand. He was not worried about being seen clinging to his mother when he was almost eleven years old because his thoughts were wrought through with apprehension. The townspeople surrounded Zos in a community of familiarity, but he still felt afraid. Feet stamped on the ground in impatience as each person waited his or her turn, slowly shuffling forward in a pre-determined and routine jumble of a line. Zos felt alone amidst the gathering of his neighbors. They ignored him as if he didn’t exist. They too were concentrated on the task at hand and the foreboding mist in the air. Zos could feel a terrifying pit of darkness coming from the well. It called to him, saying, “Zosimos, come close and peer into my depths. I want you. I need you.” Zos tried to back up but he was still connected to his mother. She scowled and yanked on his arm. “It’s time, Zosimos. You’re not exempt from anger. The town must be cleansed and you along with it.” She pulled him forward as she spoke. Zos shuffled his feet and sucked in a breath of cold air. He turned his Jackal figurine over and over in his pocket, the smooth familiar surfaces of the toy providing no comfort today. Even the air tasted black with chaos. It had a sooty taste and made Zos lightheaded. He wanted so desperately to run off into the forest. It was right there, just beyond the well. His legs were short but he could make it. He was just about to risk abandoning his mother when she yanked again on his arm and there they were. “Zosimos…” The well breathed his name in the passing breeze.